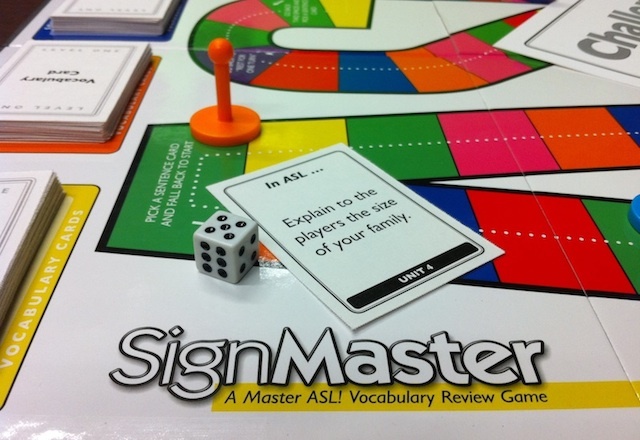 Players move through a full color game board advancing when they correctly sign vocabulary words, sentences, and expressions. 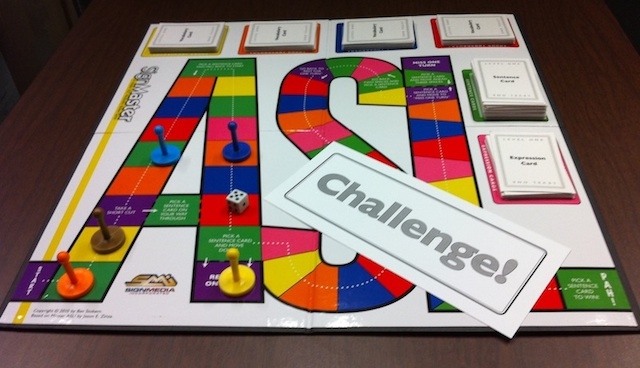 Challenge cards enable a player to question another playerís sign production. If incorrect, the player loses a turn. 3 to 8 players. A fun way to review vocabulary and practice sentences! 148 vocabulary cards with vocabulary from ten (10) units. Over 1000 vocabulary items!